The RCC Classic Pillars offered by us are widely used in on various boundary walls of any house or in balcony area. All the raw material used in the production of RCC Classic Pillar such as sand, grit, cement, iron and other quality improving materials are of superior quality. The RCC Classic Pillars offered by us are white in color and classic in style. - Total Weight : 1600kg. These vatta pillar are designed to lift heavy load and are made up of perfect combination of cement and steel. We manufacture these pillars in different sizes and shapes. These pillars are used in gardens, road sides. These are designed as per the strict guidelines of the industry. 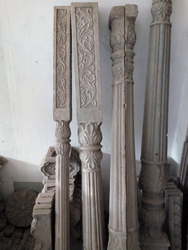 Our company has gained name and fame in presenting Decorative Concrete Pillar. 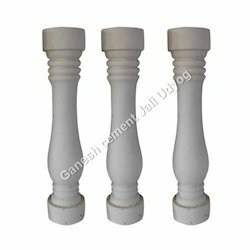 Being a reputed manufacturer, retailer and supplier, we offer high quality Cement Pillar that are highly acclaimed for their sheer quality and eye catchy designs.